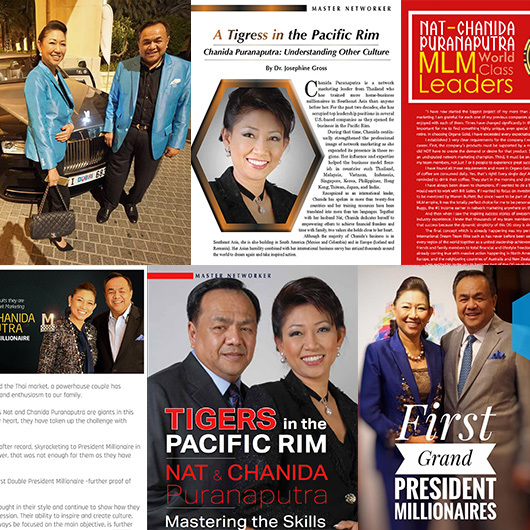 Nat & Chanida Puranaputra are widely considered by many as the most influential leaders, trainers and mentors inside the profession of network marketing / direct sales. 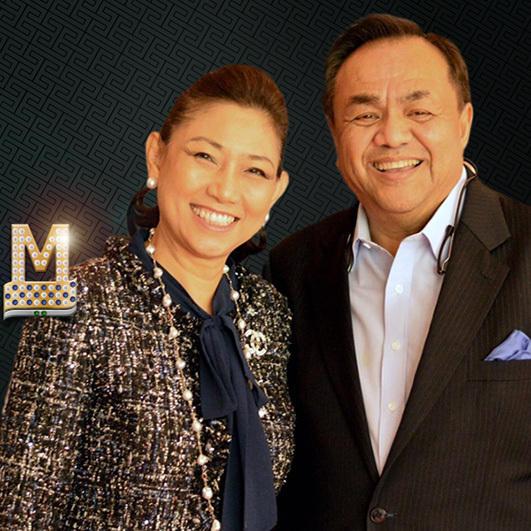 With decades of combined experience as entrepreneurs and networkers, Nat & Chanida have built some of the largest international sales teams in the industry and have helped create many millionaires and multi-millionaires across the globe. Their passion, energy and servitude are infectious and their desire to help the average person succeed in business is evident to those whom their lives touch. Nat & Chanida’s story and continual record-breaking success is nothing short of remarkable. As such, they are two of the most sought after leaders and have been featured numerous times in the media, including multiple features in Network Marketing Times, BusinessForHome.org, Network Marketing Pro (Eric Worre) and dozens of other print, web and video publications. They have been key speakers for the past 20+ years at some of the largest international business conferences, where they have inspired crowds of tens of thousands of people around the world. © NatChanida.com. All Rights Reserved.